Seven years after leaving office as Tennessee governor, Phil Bredesen (D) wants to represent the Volunteer State in the U.S. Senate. Yesterday in Nashville, Bredesen proposed an overhaul of the current federal student loan system aimed at streamlining the system into one complete program. His proposal would provide flexibility for students and a universal accessibility to repay at a lower interest rate over longer periods of time. Saying the federal student loan system is too complex, Bredesen looks to simplify the process, making it as clear and as attractive as possible to students who have not yet encountered such a financial undertaking. Around 44 million Americans currently possess student loans, pressing the issue to the forefront of a midterm election cycle heavily influenced by younger voters. To make the process clear, Bredesen wants to see the federal loan system function as an absolute obligation similar to a mortgage or car note to encourage up-to-date payments, keeping students out of greater debt. “[It] would give them a better chance at staying current on their loans and paying them back,” Bredesen said. While students maintain concern about the rising cost of higher education in the United States, other issues remain important as a divisive nature retains hold in Congress. 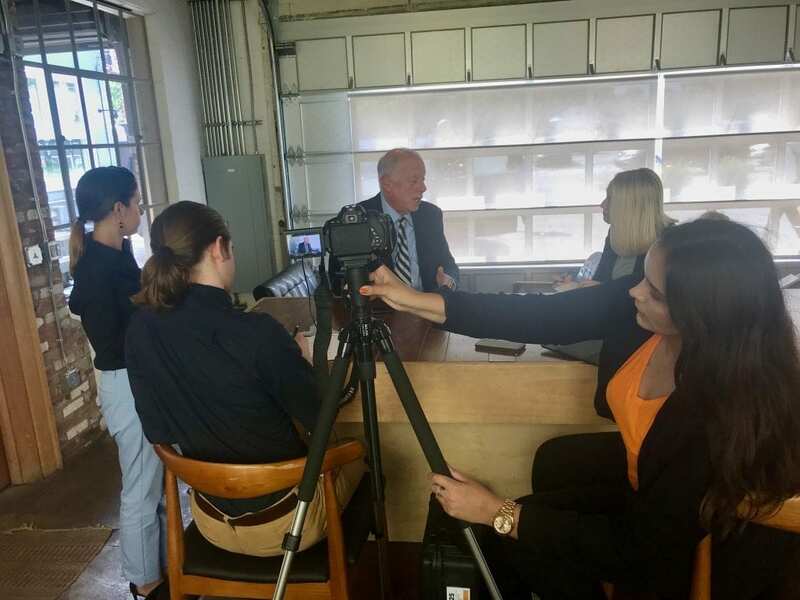 In a campaign ad released in March, Bredesen says he wants to reach across the aisle for Tennessee, working with the current administration if proposals favor Tennessee interests globally. Bredesen finds several issues on which he might support President Trump such as foreign policy. “Look, we’ve had three presidents from both parties who failed miserably at getting anything solved with North Korea. I’m willing to give this president a shot at something much more unorthodox in his approach to try to get it solved,” Bredesen said. With less than three months until the general election on Nov. 6, Bredesen hopes to outmatch Republican nominee Marsha Blackburn for Sen. Bob Corker’s soon-to-be vacant seat.